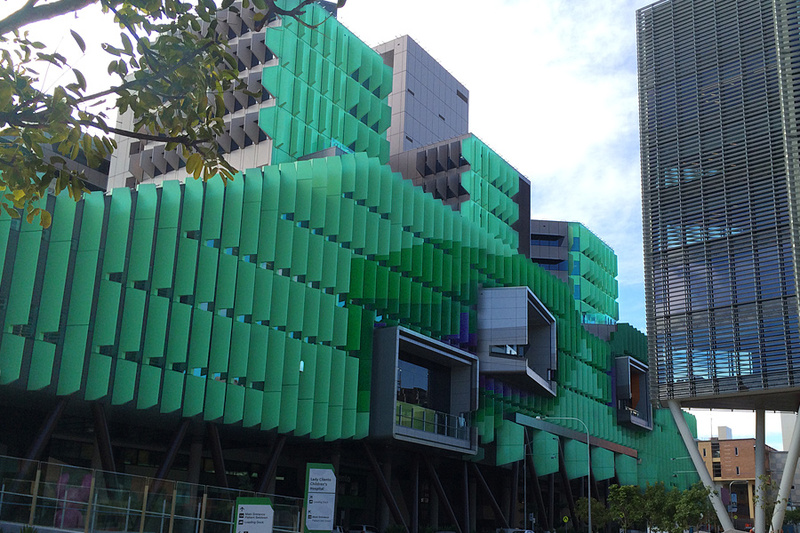 Lady Cilento Children's Hospital in South Brisbane is Australia's largest specialist paediatric hospital for children. It is a 359 Bed Hospital in a 12 Storey Building and it was completed in November 2014. The Hospital was designed in a joint venture between Conrad Gargett Riddel and Lyons Architecture and it is the first Australian hospital to win the Academy of Design and Health Award for Best Future Hospital. KWA Blinds installed the Bedscreen Tracks, Shower Tracks and Vertilux Between Glass Venetians for the whole of this project. This was such a large project that KWA Blinds had to complete the works through several contracting fitout companies working under the Managing Contractor, Lend Lease (originally Abigroup). These companies included Northwest Commercial Interiors, Superior Walls and Ceilings and Yuanda. Queensland Health ordered over 1800 Bedscreen curtains for this project directly with KWA blinds. The fabric selected for this project was sourced from Materialised Fabrics. Shower Curtains and Dress curtains for the hospital were also ordered though KWA Blinds by Queensland Health. The University of Queensland partnered with the Queensland University of Technology (QUT) and the Translational Research Institute (TRI) to build a new research facility next to the Lady Cilento Children's Hospital in South Brisbane. The new research facility, the Centre for Children's Health Research (CCHR) places Queensland at the forefront of international paediatric research in Australia. Research within the centre will focus on childhood cancer, infectious diseases, physical activity, obesity, burns and wound repair. The centre, designed by Hassell Architects, can accommodate more than 450 staff, has nine levels including wet and dry laboratories, pathology services and retail space in the foyer. KWA Blinds was successful in winning the contract with Lend Lease to supply Verosol Motorised Blinds and manual blinds for this facility. The major challenge with this project was the extensive drop of some of the Motorised blinds as can be seen in the picture below. 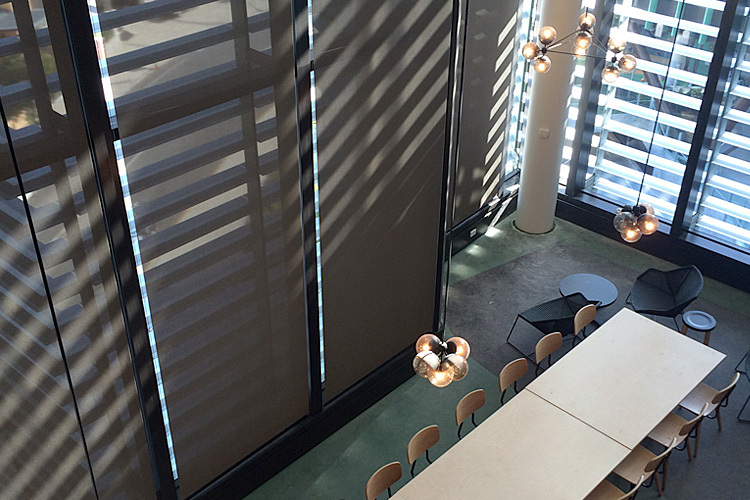 Most of the perimeter blinds are fully automated – controlled by a KNX Façade Management system, with sun sensor / timer operation, to control glare and maximise comfort within the working environment.